This time last week I was on my way to Loseley Park to play in their beautiful Tithe Barn. And what a night it was! 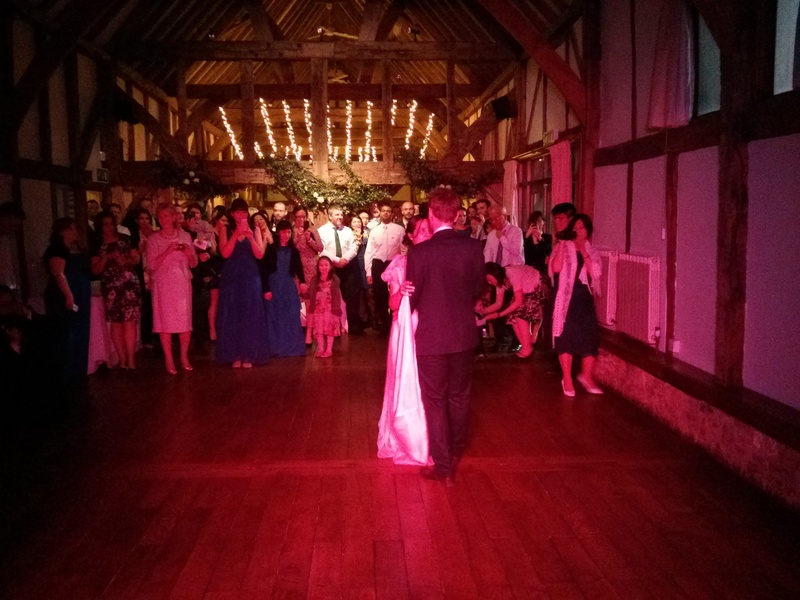 Loseley Park’s Tithe Barn is just stunning – and a great venue for a wedding celebration too. My clients let me have a lot of input into the music for the evening, within the realms of music that is familiar but not too cheesy. It suited my style perfectly, giving me the opportunity to mix up tunes from lots of genres. The team at Loseley are just brilliant, they looked after me well and everything ran just like clockwork. If you’re getting married at Loselely Park, please get in touch for more information.